In the tenth pAsuram, parAnguSa nAyaki says “Even if I have to engage in madal to jolt him severely, we will see that emperumAn who is perfectly enjoyable”. 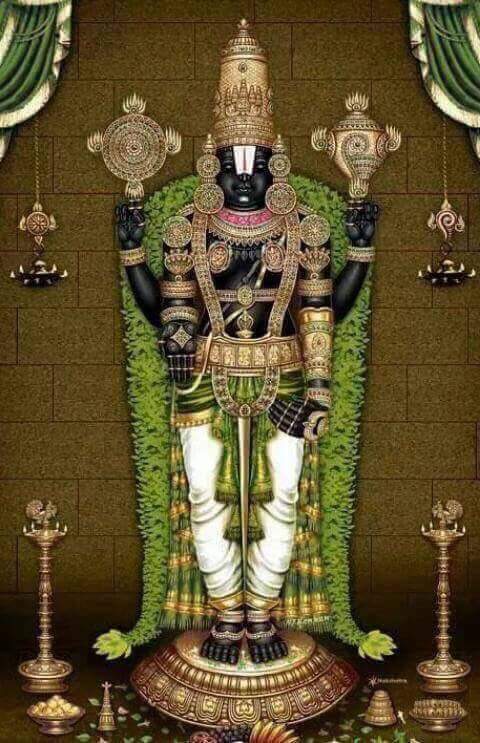 Subsequently, parAnguSa nAyaki says “We will wear the garland of emperumAn who is having distinguished symbols which are perfectly enjoyable, even by engaging in madal to jolt him in this world by accusing him everywhere”. sUduvOm – will wear it in our head. Without shyness matching our femininity in any manner, we will even engage in madal by entering every street and by engaging in hurling accusations continuously with the tongue as done by the neighbouring women, to have all of the world call out in an angry/agitated manner for emperumAn, the benefactor, who let us enjoy the combination of his hand and chakra and attracted us by that and will accept his invigorating and attractive thuLasi garland which is pure due to the freshness of its leaves, and will wear it in our head. parAnguSa nAyaki is addressing herself as “we/us” (the royal we) due to her pride in engaging in madal. yA madal Urndhum – Even doing by what is forbidden. We who are to remain fully dependent on emperumAn as said in SrI rAmAyaNam sundhara kANdam 9.30 “… thath thasya sadhruSam bhavEth“ (SrI rAma himself destroying lankA and rescuing me is that which will fit his nature – so I will wait for his arrival), even by engaging in madal. Here madal is thought to be – 1) the greatness of upEyam (goal), i.e., bhagavAn, who must be attained for survival 2) meditating upon the greatness of the upAyam (means), i.e., bhagavAn only, which can help one attain the goal 3) the confidence in “the goal is attained only through him” 4) not considering any thing else as upAyam and 5) not being able to wait for attaining emperumAn in due course of time. Previously, she said “madalUrdhum” (I will engage in madal); parAnguSa nAyaki‘s friend tells her “you cannot say this; to start with, it is forbidden for women to engage in madal; further more, you are a well-wisher for him even at the cost of hurting yourself as said in sankshEpa rAmAyaNam bAla kANdam ‘nithyam prANa samhithA’ (always focussed on the well-being of her beloved consort); he is more eager to attain you than you desiring to attain him; you are just not patient enough to attain him in due course of time; this adventurous act of yours does not fit your nature” and parNaguSa nAyaki says “my love towards him is so much that I cannot see these”. yA madal Urndhum – I will not give up in pursuing him, even at the cost of hurting my own nature. madal Urndhum – Even if by engaging in this act [of madal]. I will attain him even by engaging in forbidden acts. Even by engaging in activity which does not match the meaning of “aham” (I). aham in praNavam is explained in “yAm”. AthmA is explained with reference to bhagavAn only [as bhagavAn’s servitor]. em Azhi … – This is the explanation of the word “nArAyaNa” [in thirumanthram, ashtAksharam]. bhagavAn is explained with reference to AthmA only [as AthmA’s master]. em … – Just as he appears with the divine chakra in his hand, I appear with the madal in my hand. When I set out with the madal in my hand, if he places the ornaments in his hands, on my hands and if he places the garland on his shoulder, on my shoulder, he will survive; otherwise everything will be finished. thU madal – parAnguSa nAyaki tells her friend – You look at the garland on my shoulder, I would like to wear a fresh garland. Her garland is withered due to suffering in separation, and fresh garland is available on emperumAn. yA madam inRi – Oh! let me first do what is done by those who don’t have such femininity [those who are independent]. theruvu thORu … – Previously she said “ulagu thORu alar thURRi” (accusing him in all worlds); when all the people of the world assemble, would I just say something about him and leave him? I will go to every street and make everyone aware of his defects by hurling accusations about him to those who don’t know about him. [inner meaning of going to every street] People may be thinking that “archA vigrahams (deities at home) are fully at the disposal of those who worship them [it is considered as emperumAn‘s ultimate simplicity]”, and will I let them continue to think like that? [I will make everyone realise that emperumAn is not truly fulfilling my desire and will drive out their attachment towards archAvathAra emperumAn too]. ayal thaiyalAr – women who consider them to be independent [inner meaning – SisupAla et al who consider themselves to be independent from bhagavAn]; I will make such accusations that [even] those women cannot speak anything. emperumAn is going to hear those words of accusations which are not even heard from SisupAla et al. Alternative explanation [nA madangAdhE] – like the continuous accusations of those who cannot stop their tongues. Another explanation [nAm adangAdhE] – us, overstepping you, setting out to engage in madal and accusing him. nAdum iraikkavE – If he does not eliminate the “Uravar kavvai” (the noisy accusations of the people of the town), I will make him be accused by the whole kingdom. I will ensure that the whole world is tormented. I will ensure that it is known to everyone “a woman tormented a man! [since] he did not acknowledge her”. She is setting out to invalidate all the pramANams which glorify him and the means to attain him; I will ensure that it is known everywhere “if emperumAn is present, will he let a woman who desired for him suffer like this? This being the case, this universe is devoid of ISvara (lord)”. Would anyone disregard the words of me who united with emperumAn previously and believe in the authorless words of vEdham? As I have destroyed the best of pramEyams (goals) [i.e., emperumAn], how will the best of pramANams (authentic texts) have any standing now? I will ensure that the whole world becomes nAsthika (non-believers) making them say ‘when this is the result for those who desired emperumAn, there is no use of upAsanam [bhakthi yOgam and other such means]’ “. nAdum iraikkavE – yAmadalUrndhum – The accusations of the people are those which sustain her. She herself said in thiruvAimozhi 5.3.4 “Uravar kavvai eru” (the accusations of people of the town are the manure), she sustains by firmly rooting in them. This entry was posted in thiruvAimozhi, thiruvAimozhi 5th centum on June 23, 2017 by Sarathy Thothathri.